Watch out, Seattle is climbing to one of the city top tech cities in the U.S. With this new wealth, comes both benefits and problems. If you tallied up the value of all of the housing stock in Seattle in 2017, it would add up to about $645 billion, more than the gross domestic product of Argentina. Even more remarkable, that figure shot up nearly 12 percent in a single year, compared with 2016. Ongoing construction in Seattle’s downtown core. The net worth of Amazon founder Jeff Bezos, meanwhile, soared to $105.1 billion in January, placing him ahead of Microsoft co-founder Bill Gates, whose net worth was valued at a slight less-astounding $93.3 billion. Both of their companies provide nearly 100,000 tech jobs opportunities. Based on a recent report, there are 134,000 tech jobs in Seattle, a 33 percent increase since 2011. And these workers are well-paid, with an average wage of $113,906. With many jobs opportunities comes many newcomers. According to King5 News, nearly 21, 000 people— 57 per day—moved into the city between July 1, 2015- and July 1, 2016. As a result, Seattle placed 10th as the most expansive market for both apartments and office spaces. To illustrate, the prices for the average apartment rent in the Seattle metro area at $1,640 per month, a 37 percent increase since 2011. Furthermore, Seattle’s new median price for a single-family house is $729,000, up by 13.7 percent from a year earlier. Skyrocketing housing prices and increasing traffic congestion are eroding our quality of life and causing many residents to relocate to other parts of the country. In Silicon Valley’s case, this resulted in many becoming homeless. And to add injury to insult, many of the homeless work regular jobs, in some cases serving the very people whose sky-high net worth is the reason housing has become so unaffordable. Brian Biege, first vice president in CBRE’s Bellevue office claimed “Although rental rate in core submarkets in the region have gone up, it’s clear that dollar-for-dollar, Seattle continues to offer more options than some of the other large technology hubs across the nation” As a result, it often seems like Seattle is getting younger all the time, and there definitely has been a big influx of fresh-faced techies into the city in recent years. 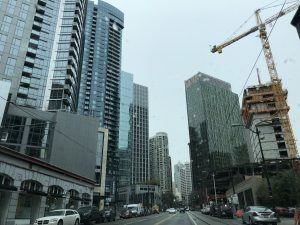 Seattle’s population of 20-somethings living in the downtown core increased by 16 percent since 2010. 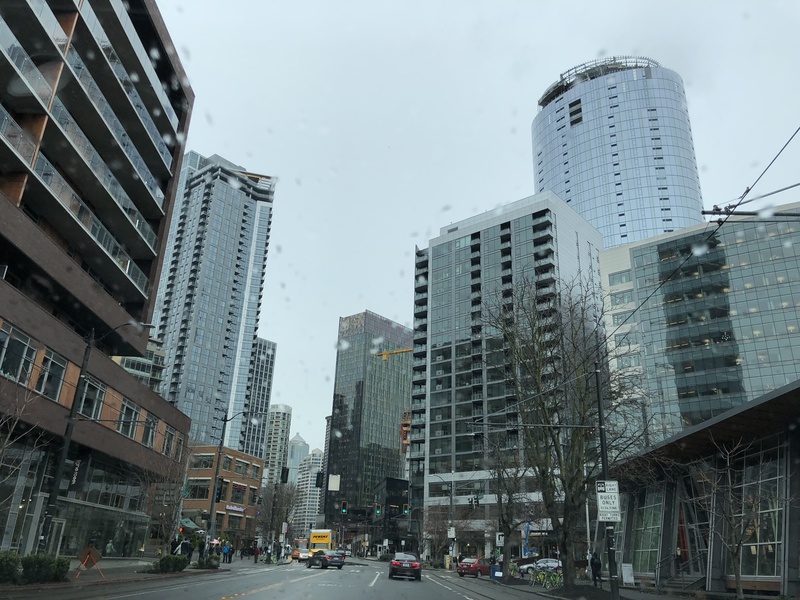 Correlated, Seattle is the most educated market in the nation according to the same report, with 62.1 percent of all resident over 25 possessing at least a bachelor’s degree. Higher education should improve one’s quality and quantity of life. According to an article from Sightline Institute, “If Seattle were an independent nation, its life expectancy would rank second, just a month behind Japan’s”, Japan has the highest life expectancy in the world of 83.84 years. However, which population does this data represent? With this new culture way of life, they are many good outcomes and many destructive results. 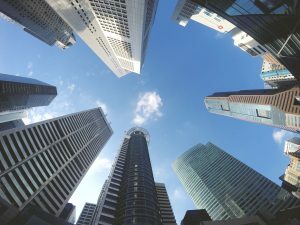 The disparity in many social, political, and economic aspects of life fall beyond our control as the Seattle’s market getting more competitive each day. What can be done about this growing inequality? And how do you define your role in this community?